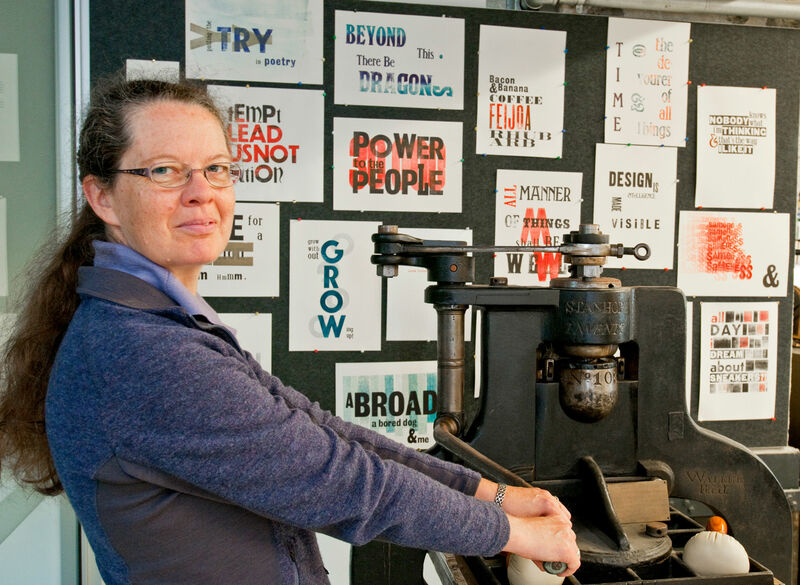 Wai-te-ata Press is an interdisciplinary space with an impressive collection of historic printing equipment. Find out more about what makes us unique. In the new knowledge economy, "book" might be a four-letter word, but it's also an endlessly fascinating and seductive material object to make and study. Hold a page up to the light and read its distinctive signature, sniff the edges for the tell-tale aroma of vinegar, riffle a volume to hear the music of its binding, run your finger down the spine to expose the fake cords, taste the animal glue brushed onto the paper. Books provide a fascinating window onto the transmission of human knowledge and the complex web of social, cultural, economic and political relationships which produce, consume and preserve them. Contrary to popular belief, the book's longevity is a function of its extraordinary flexibility as a portable knowledge basket over time and across space. And, far from being dead, the book is alive and well, breathing in libraries, in bookshops and on bookshelves, and informing the technical vocabulary, architectural structures and metaphors of the electronic environment. Wai-te-ata Press is a space to explore books and print in all their myriad forms. As letterpress printer and cultural historian, I relish the unique opportunity to make books as well as study them. As an advocate for collaborative, interdisciplinary and research-led teaching and learning, I want to enthuse and inspire. Join me!